NASHVILLE, Tenn.--(BUSINESS WIRE)--Apr. 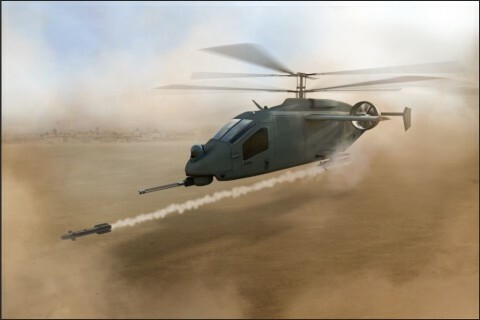 15, 2019-- The AVX Aircraft Company and L3 Technologies (NYSE:LLL) announced today their innovative compound coaxial helicopter (CCH) design, which is competing for Phase 1 of the U.S. Army Future Attack Reconnaissance Aircraft (FARA)-Competitive Prototype (CP) program competition. See more about the solution at https://youtu.be/nVdXsVGCyBQ. The two companies announced their proposal in December 2018. With headquarters in New York City and approximately 31,000 employees worldwide, L3 develops advanced defense technologies and commercial solutions in pilot training, aviation security, night vision and EO/IR, weapons, maritime systems and space. The company reported 2018 sales of $10.2 billion. To learn more about L3, please visit the company’s website at www.L3T.com.